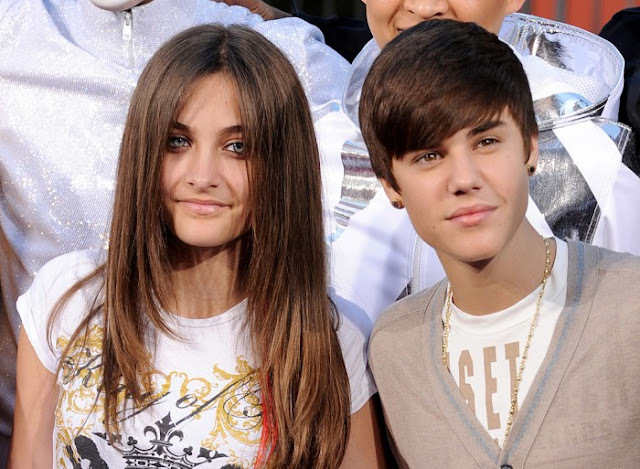 Paris Jackson has broken her silence revealing the reasons for she tried to kill herself when she was only 14. The daughter of legendary pop singer Michael Jackson attempted suicide four years ago which had almost taken her breaths to an end. However, she was immediately given necessary medical treatment in a nearby hospice which eventually saved her. She had to spend time in the hospital followed by a long stay in a residential treatment center. Paris signed in to her social media to share an emotional video with everyone online in which she enlightened the circumstances under which she took such a big step. According to Paris, it was cyber bullying which brought her that far and she had no choice except attempting suicide. In her long video-clip on Instagram, Paris said she tried to kill herself because of the hatred she was receiving online. Though, cyber bullying had become the nightmare for the actress, it was the time when she felt it was too much to handle. She also emotionally admitted everything is still same as there are people who are still harassing her on a daily basis. She says she doesn’t understand how people can hate others. She has tried sticking up for herself and has even blocked the list of hackers and stopped reading the comments. Paris kept crying throughout the video and tearfully said she has done lots of things but it becomes hard to bear when there is too much of it. The actress also questioned why people take her as an easy target despite she behaves nicely with each person she meets. Paris also revealed the hurtful online abuse she was receiving that eventually took a toll on her life leading her to take her own life in 2013. Following her suicide attempt, Paris closed her Instagram account and took a 2-year break from social media. Later her friends and other contacts asked her to rejoin them on social media so she made her Instagram public again but it was disappointing to see nothing was changed. The young talent is 18 now. She is not the same vulnerable child of the king of pop music who can be easily victimized by controversies and criticisms. Though, she still needs to face some critics, she is seemingly behaving as a much stronger girl than the younger Paris at the age of 14. The 18-year-old in her video pointed out how nicely people treat other celebrities or their offspring on social media. She said social media has worsened celebrities’ privacy with the passion of the online realm. She also mentioned Justin Bieber whose love life is being slammed by cyber bullies these days. Paris begged bullies to leave her alone in her life. Following her video message, she found she was feeling better so she hired a professional tattoo maker to make a Lennon-inspired tattoo on her body on Saturday. The tattoo she got also has a quote saying “imagine the people who live in peace”. The line tattooed on the actress’s arm is inspired by her father’s famous song ‘Imagine”. Paris also shared her tattoo on Instagram.